Sometimes you find boutiques and they are EXACTLY your style! 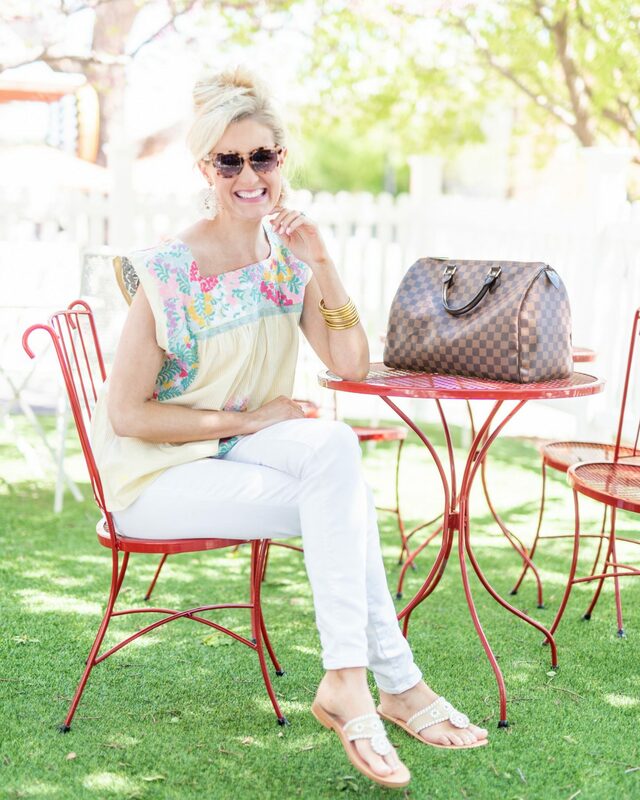 I did a little happy dance when I discovered how cute all of the clothing and accessories are at Willow Park Boutique! 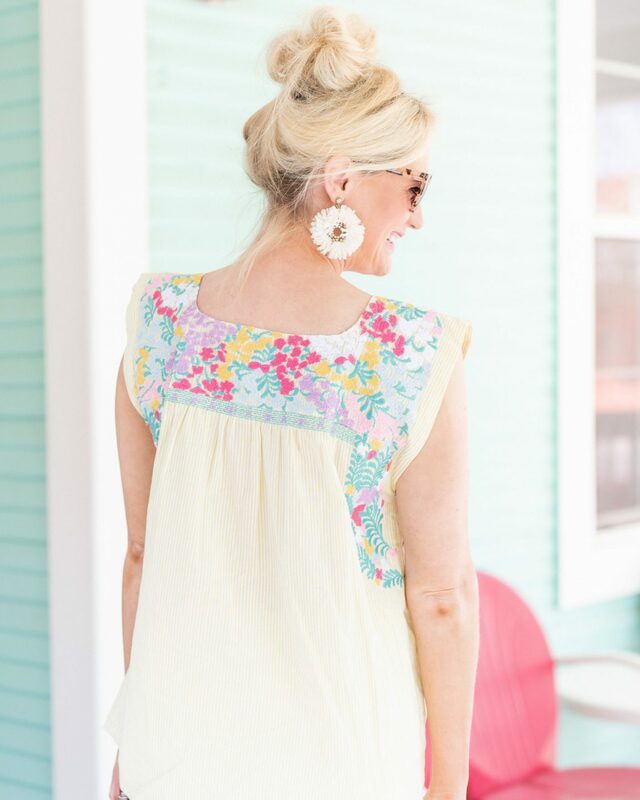 Think Southern classics meet pops of fun, bright colors! 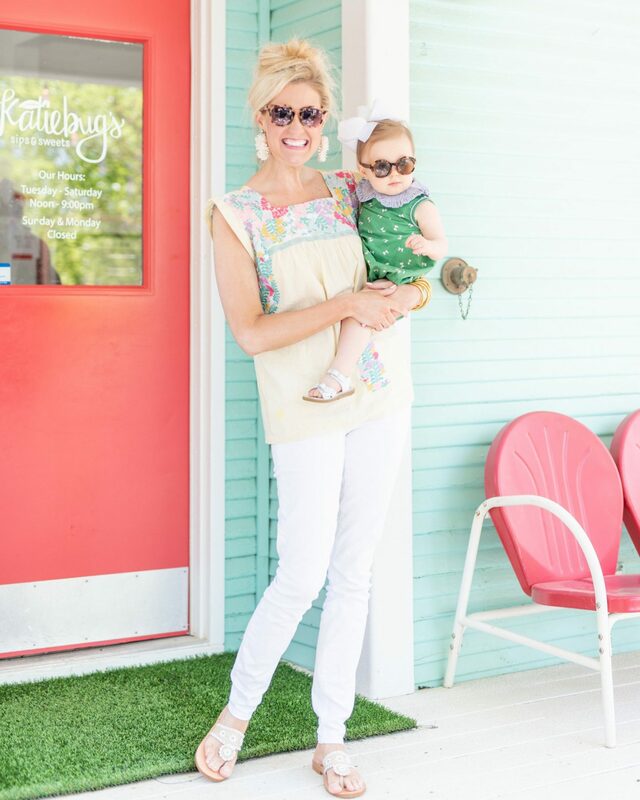 It is also owned by two southern mommas, Blakely and Lindsey, who have the absolute BEST style! 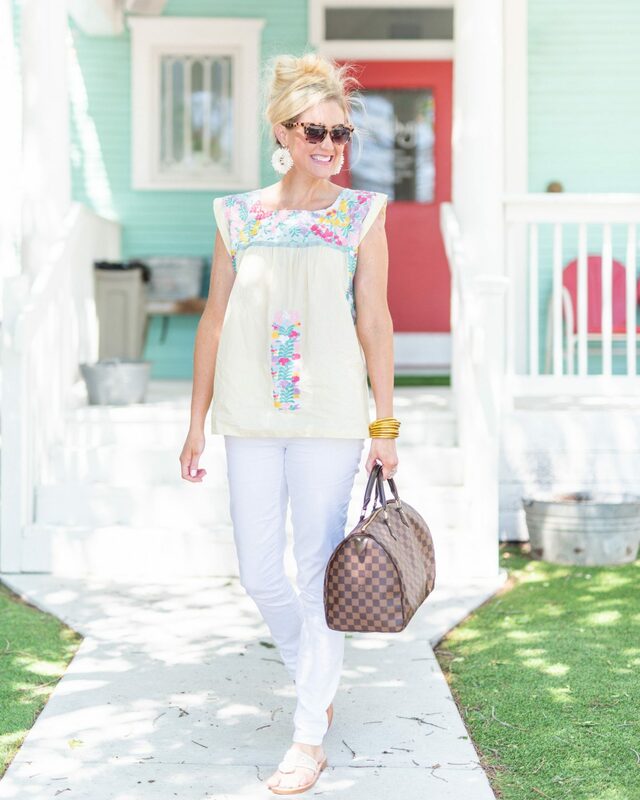 This gorgeous embroidered top is definitely going to be a piece I reach for all Spring and Summer! I love the yellow ticking stripe and the embroidery detail is just beautiful! It runs true to size. You can easily pair it with white jeans, a jean jacket, and sandals right now, and then transition to white shorts in the summer! 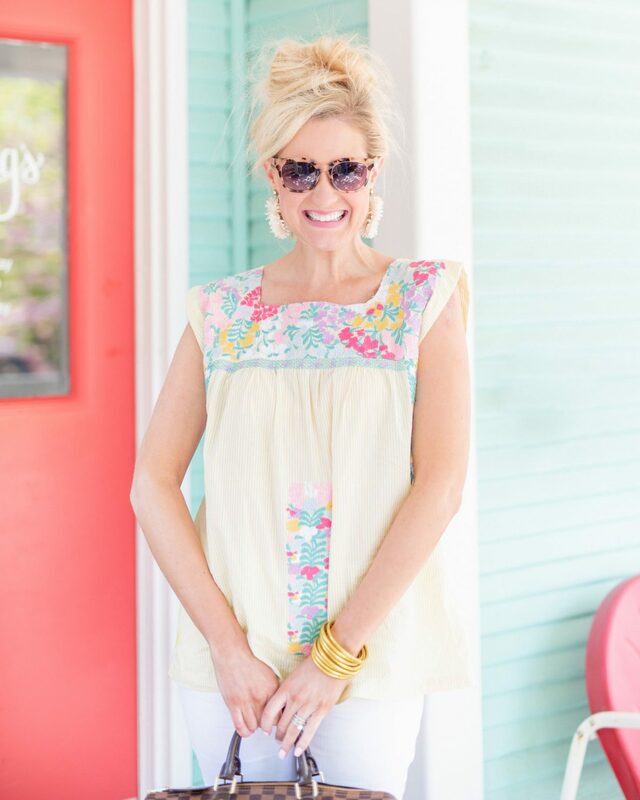 I also love that I can take it from a day look with sandals to espadrille wedges and fun statement earrings for a date night out! You will have to browse their website here because I know you’ll love it as much as I do! ASOS 20% off Spring Sale!